I've been working hard lately to pull together design plans for two new client projects. So, I thought we could all probably use a little Hump Day humor. Have you guys seen this commercial? I think this commercial is hilarious, especially the reactions of the office employees. Lol! You know, design can be funny too, or at least a little quirky. 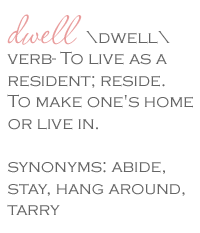 I find that it's often those odd and whimsical little elements that give a space personality, don't you? Here are a couple of my favorites. Check out Dwellings By Devore's super cute towel hook. 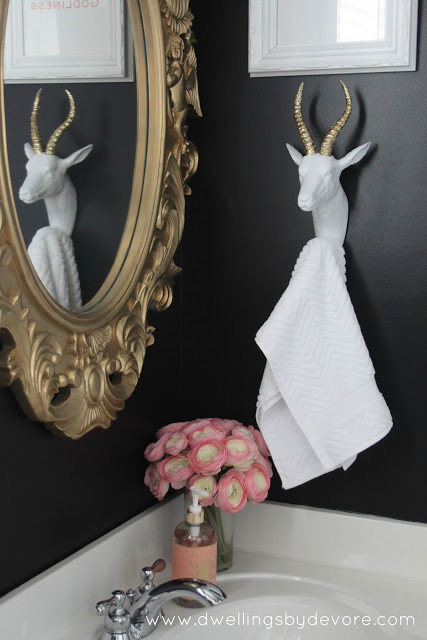 Sure, you could use the standard big box store's towel hook options, but how much more personality does this DIY'd guy bring to this powder room. Love it! See more of the project on her Glittered Gold Taxidermy post. 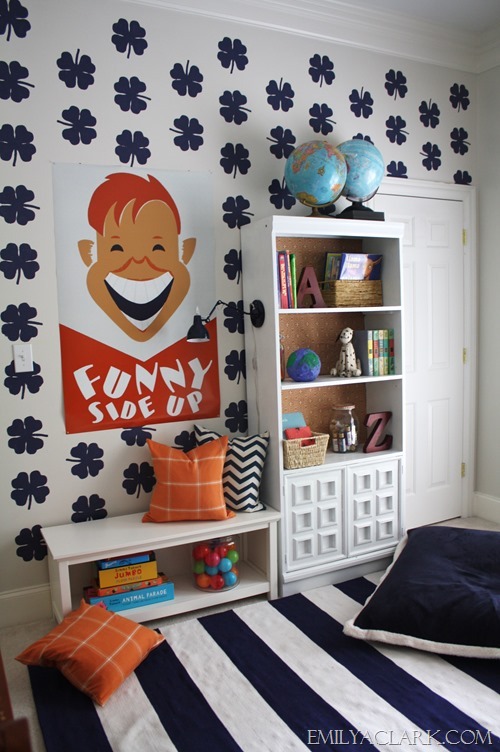 Emily Clark hit the ball out of the park with this cute kid's space. I'm a die-hard Emily fan and when she posted sneak peeks of this project I just knew the navy clover stencil was going to be the show stopper. I was wrong! This oversized "funny" poster makes an even larger statement. Retro, quirky and somehow chic. Love it too! 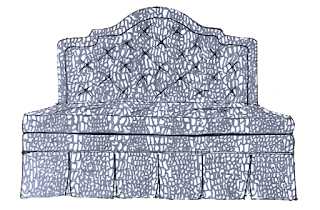 Read more about her design and vote for her the Pottery Barn contest by checking out her entire project on her Book Nook Reveal post. 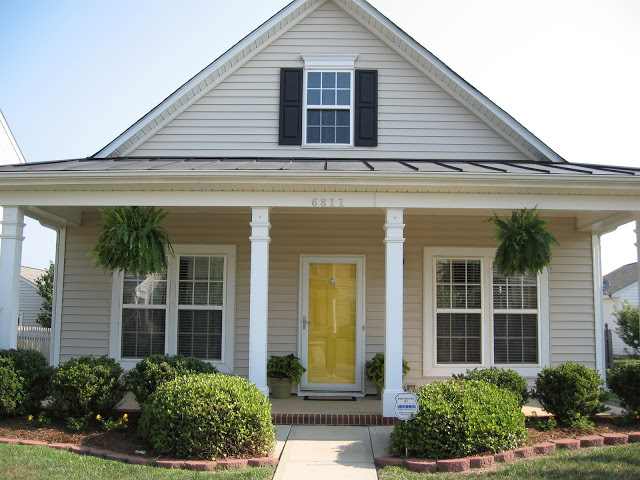 And lest we forget my fun and quirky bright yellow front door. Please, don't get me started. If you missed that post, check it out on one of my very early blog entries called See It, Like It, Do It: Front Door Project. The goal in every design project should be to be yourself. If in the end the space makes you feel at home and happy (even to the point of a little chuckle inside) then, in my opinion, that's a well-designed space. Happy Hump Day! Love it and your yellow front door! Welcome Carrie! Yeah my HOA is no joke. Between you and I, I think they were just jealous that my door looked better than theres. Lol! Thanks so much Emily! I appreciate that. Good luck on the PB Challenge! Thanks Lisa! I loved it too, unfortunately the HOA didn't approve. Thanks so much! I love your yellow door, too bad they didn't agree!